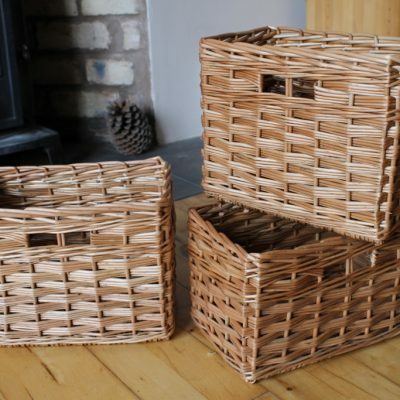 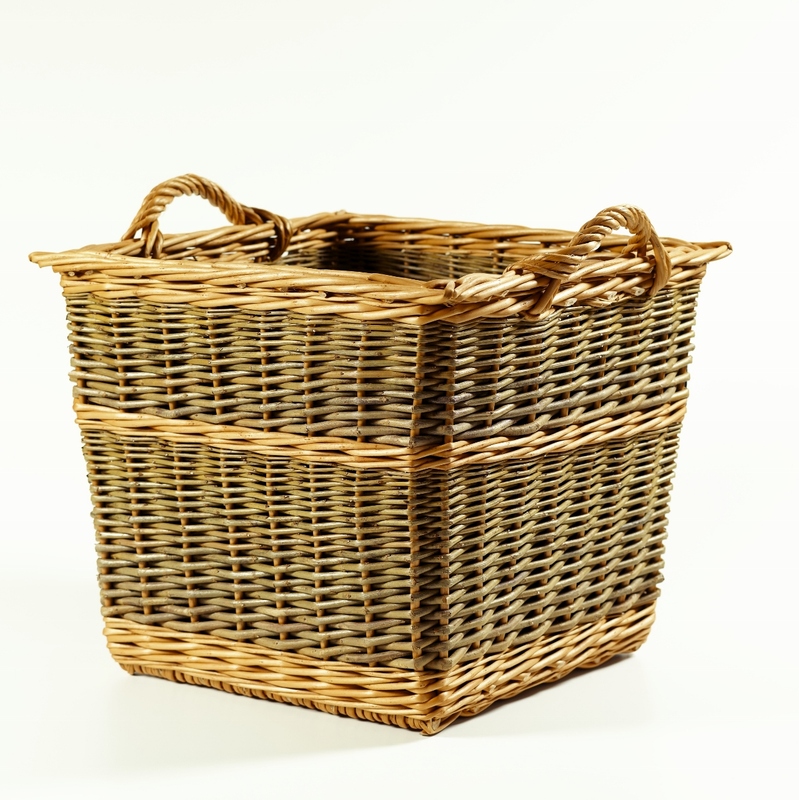 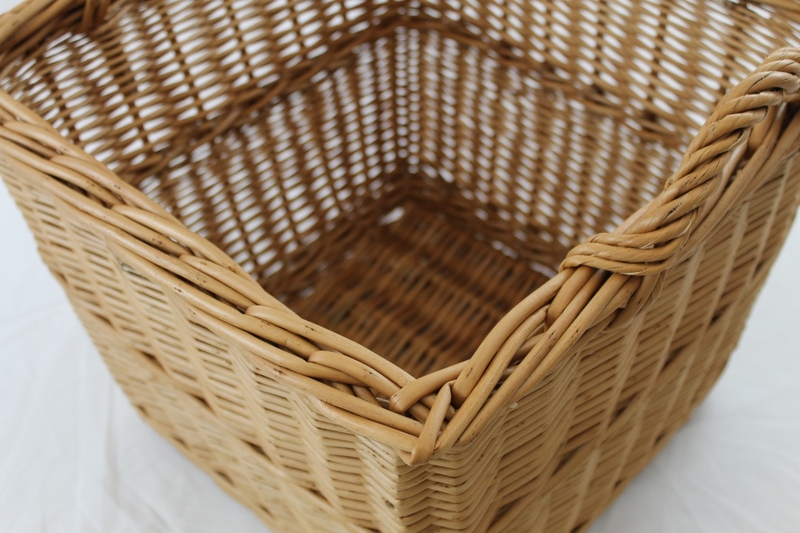 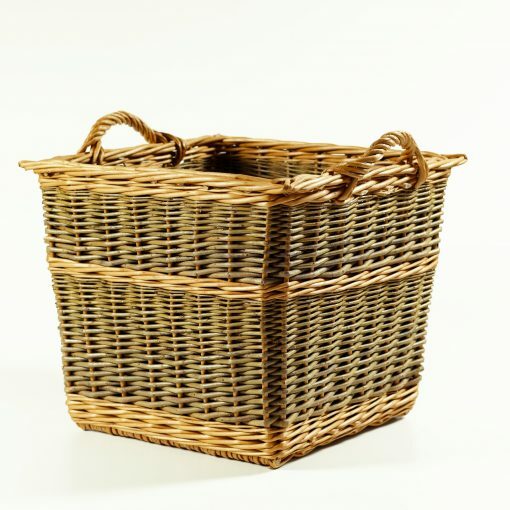 Slightly tapered square log basket with woven handles. 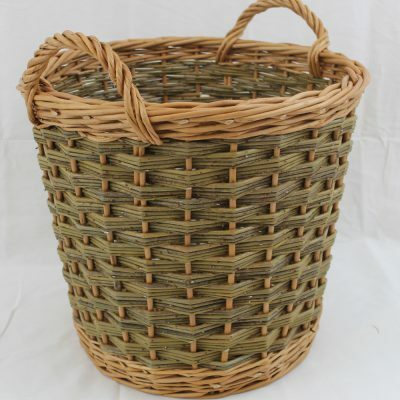 We can make it in buff and green, all buff or buff and steamed. 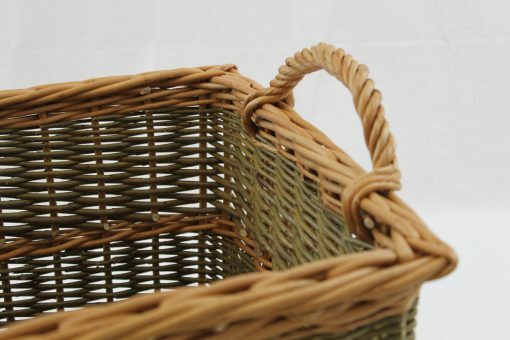 Please visit the Willow Colours page for more information on the available colours, their properties and uses. 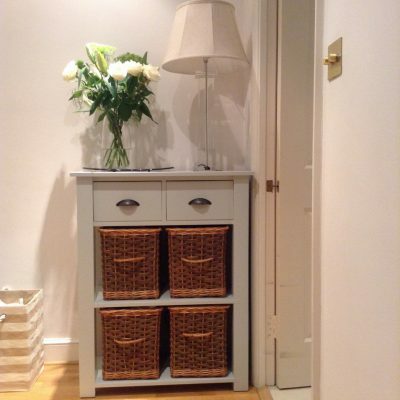 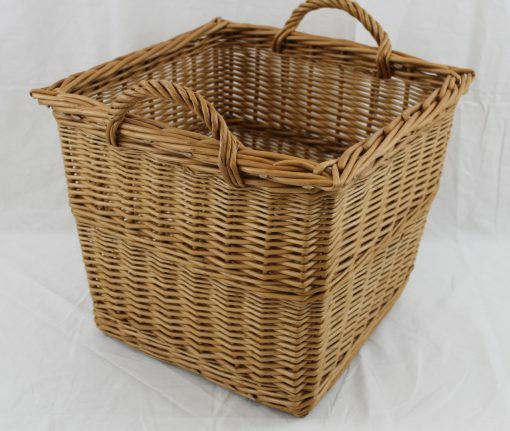 Size shown here 43cm x 43cm x 38cm high (17″ x 17″ x 15″) plus handles. Price for this size £75 plus p&p £8.00 to most UK addresses.